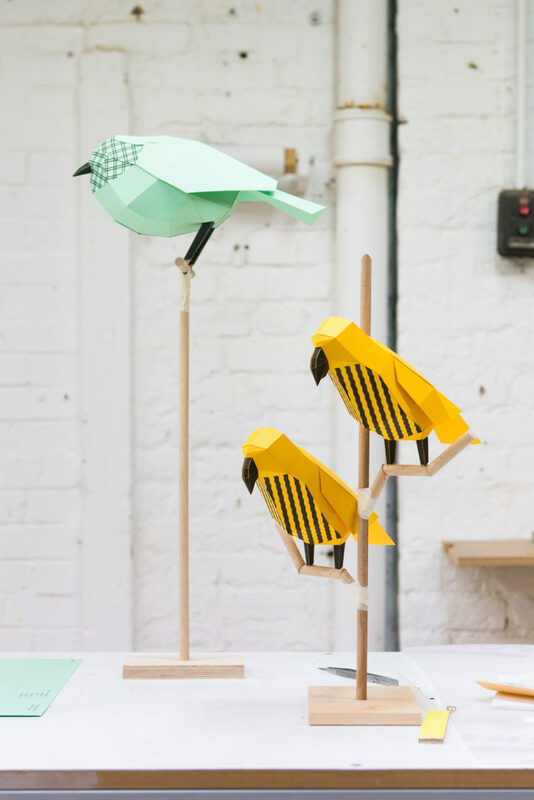 The Paper Aviary | dn&co. 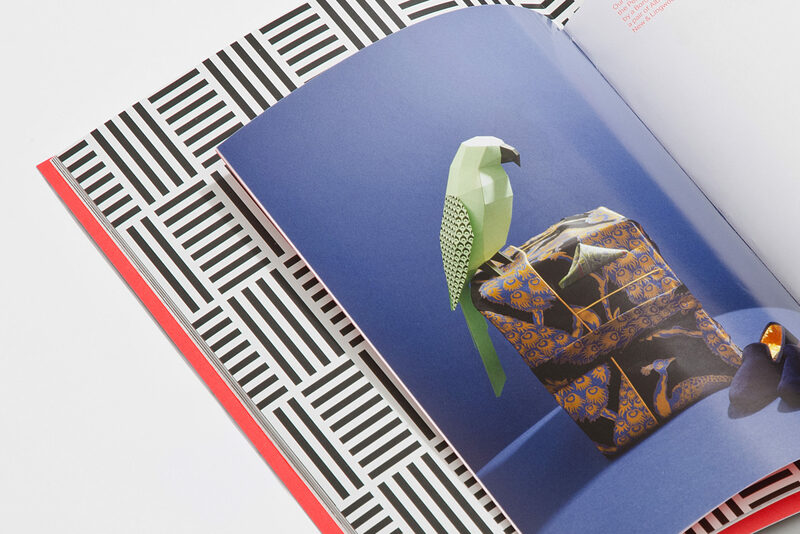 We were asked to create an exhibition to bring life to a little-known public square in central London. 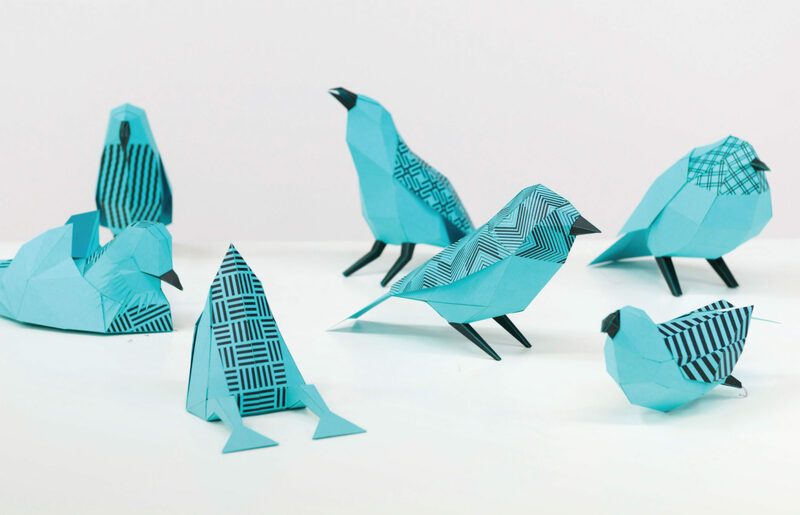 Installing over 150 multicoloured paper birds, the result was a spectacle of pure wonder. 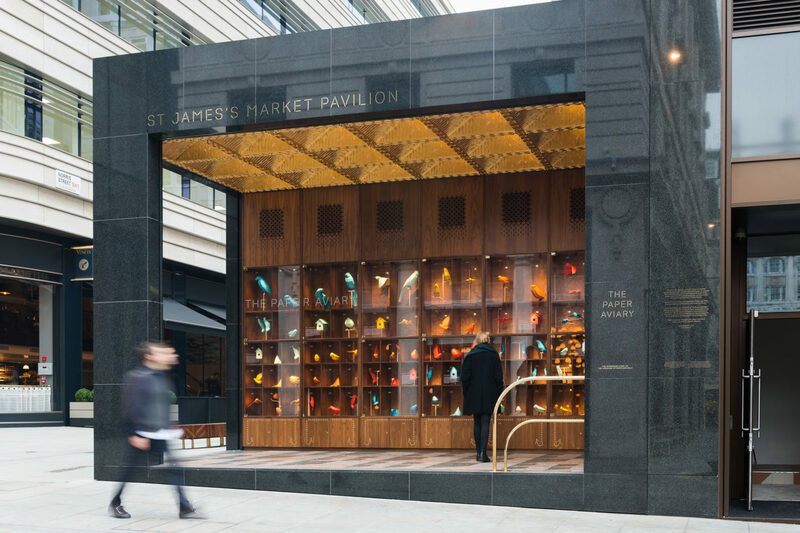 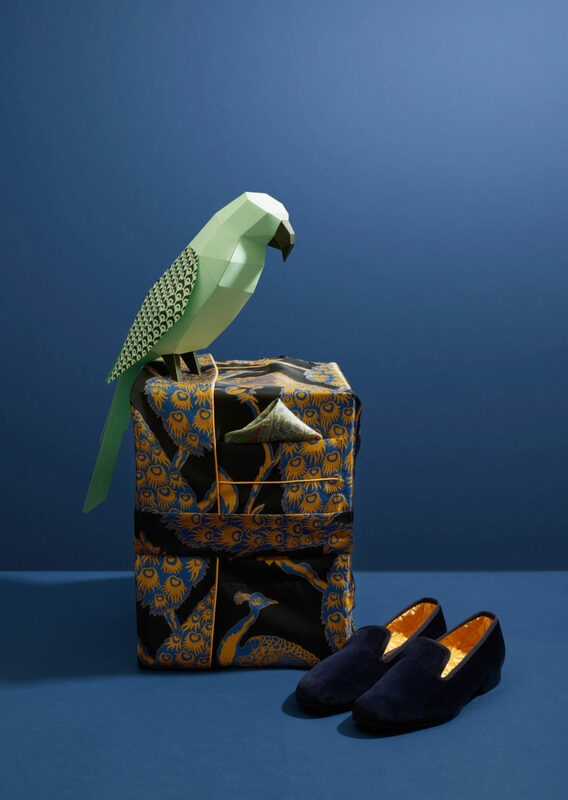 This second exhibition for St James’s Market is inspired by the original birdcage of the nearby Birdcage Walk — a 17th century public aviary of parrots and exotic ducks from Asia and Australia. 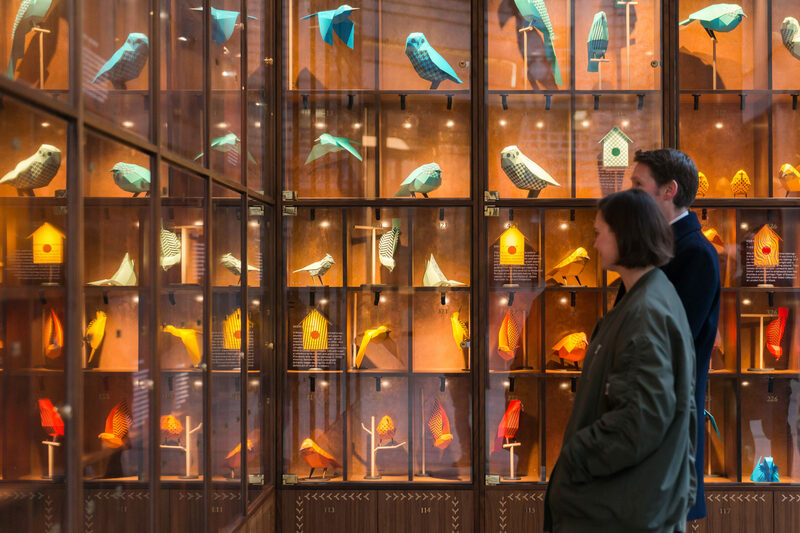 Displayed at a time before tea or cotton, the birds’ colourful plumage amazed Londoners and we wanted to recreate that sense of wonder with an installation of more than 150 dazzling birds. 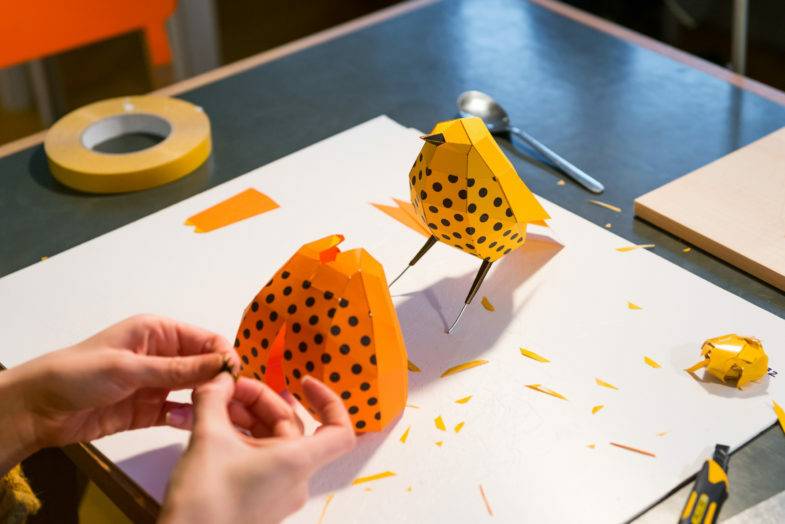 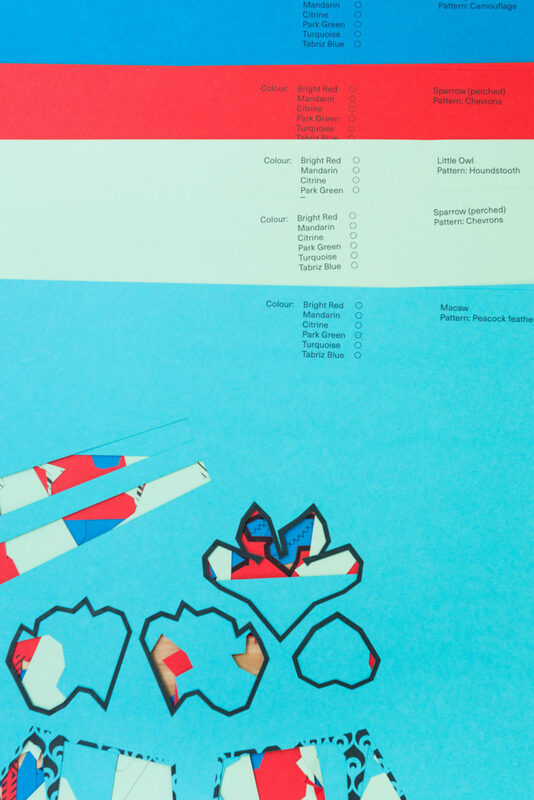 The project was created in collaboration with Argentinian paper craft studio Guardabosques and fabricators 2MZ, using G.F Smith’s Colorplan paper. 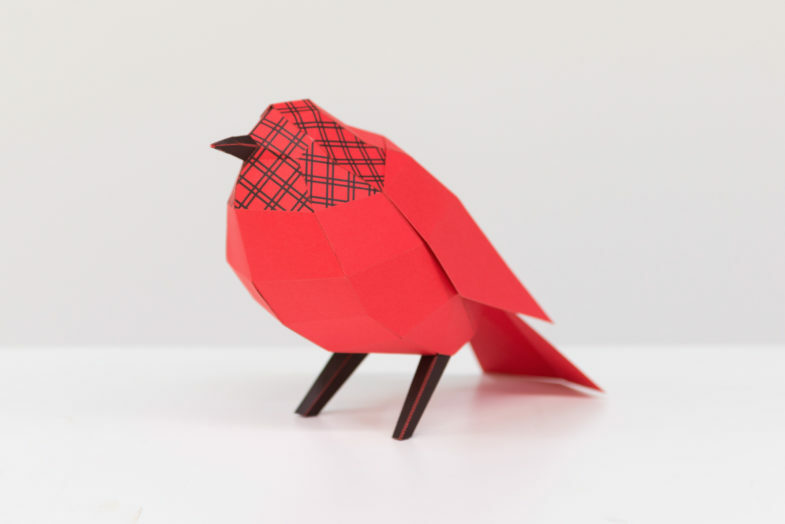 We also teamed up with Xeno Canto, an archivist of bird calls, to create the exhibition’s delightful soundtrack, made up of the coos and calls of the featured birds. 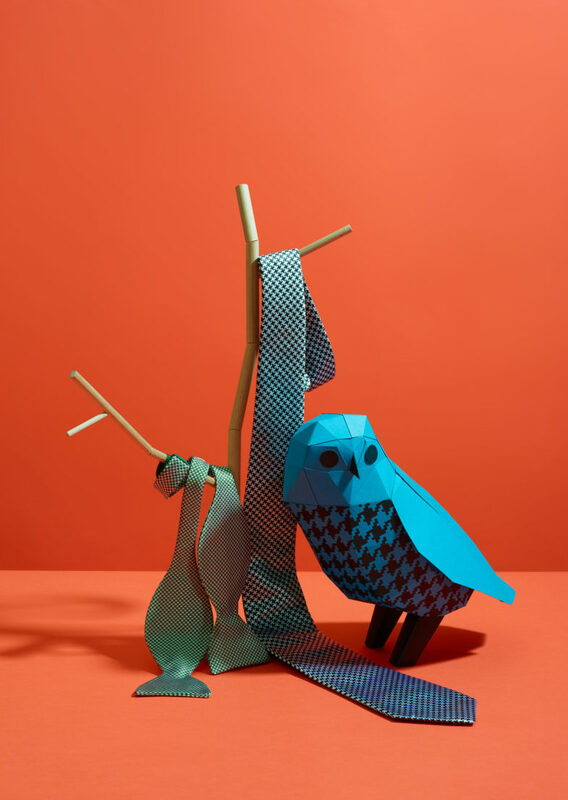 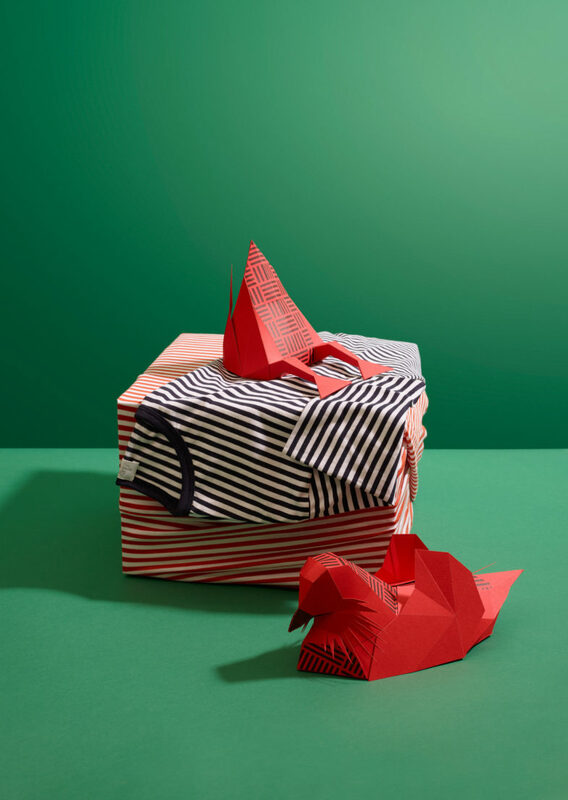 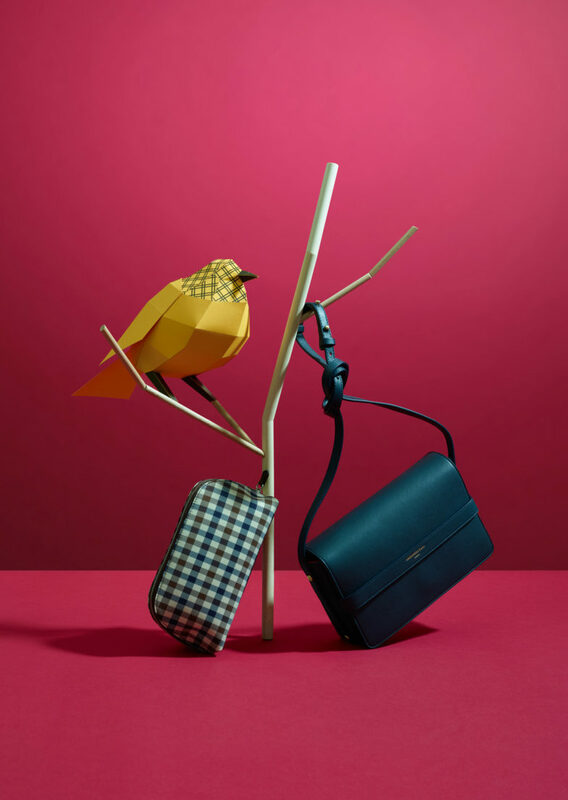 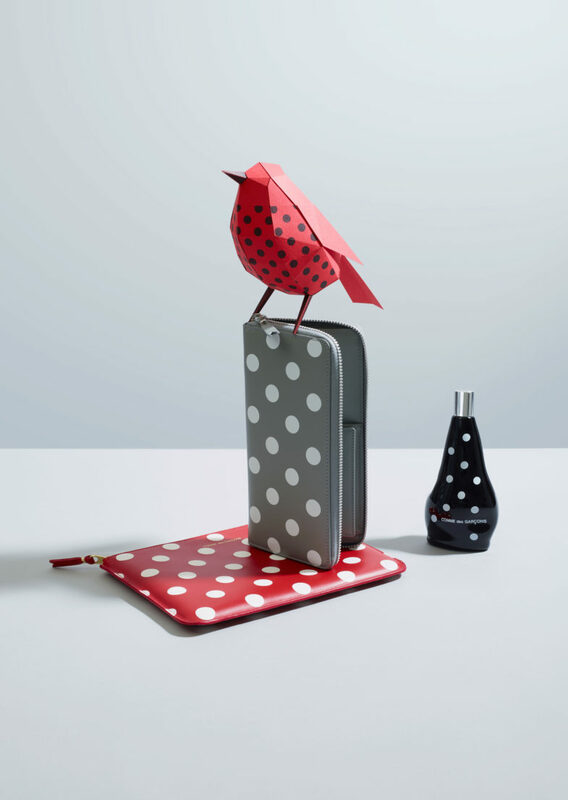 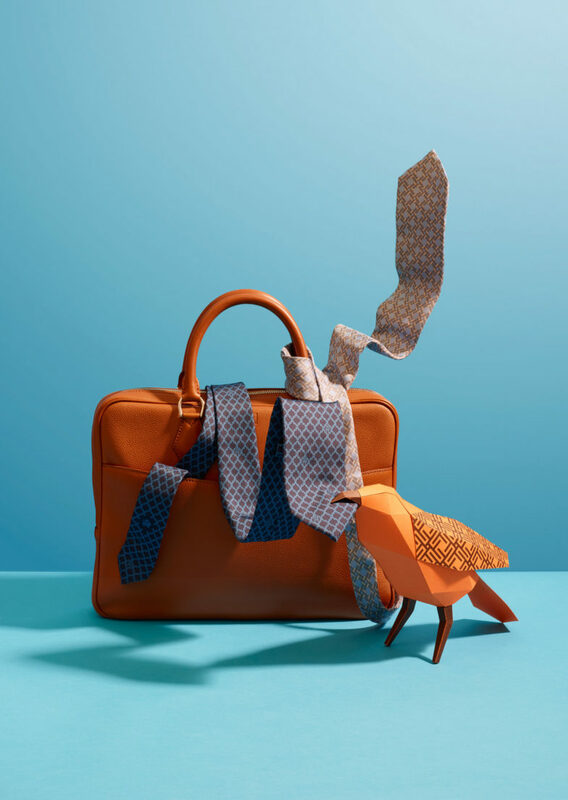 Each bird was adorned with a bespoke graphic pattern representing local brands from Aquascutum checks to COMME des GARÇONS polka dots and shot in a delightful collaboration we art-directed with fashion photographer Victoria Ling.